As you get older, snoring problems become more common. Senior and adults are more likely to become chronic snorers compared to youngsters. This can be a problem for both them and their partners, who sometimes can’t sleep at night because of the sound they make. What’s funny about this is that snorers, the ones who actually cause the noise, usually manage to sleep through the night, but their partners don’t. Good thing for partners is that there are some new ‘’remedies’’ available on the market today. And no, we are not talking about the latest Beats Audio headphones, but real scientifically and medically tested anti-snoring solutions. For example, there is a dental appliance which you wear during your sleep. 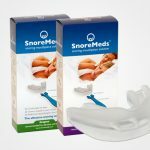 Anti-snoring mouthpiece can at least reduce, if not eliminate, unwanted sounds snorers make. 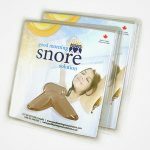 They not only solve problems which snoring caused between spouses, but are extremely healthy for snorers, as they help them breathe easier during the night and prevent them from choking, as they provide constant stream of air through their air passages. Solutions like these are safe and relatively cheap compared to surgery, plus they have no side effects. 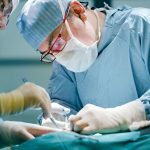 Surgeries can be very tricky for older people who can later have difficult time recovering from wounds. Remember to replace them as they lose their shape over time. Subjecting them to heat will not help, although many people believe so. 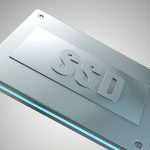 Getting a replacement is a better solution and you will get optimal performance. It’s best to consult your pharmacist and ask for help with the instructions, as you are new to this. For example, if you have false dentures, fitting of the mouthpiece could be different. It’s better to make sure it fits before molding it, as you cannot turn it back. It’s natural that these devices don’t feel natural at first, as you are not used to having a device in your mouth while sleeping, especially something rubbery sticking out like a tongue. So you should try to adjust to it as fast as you can. 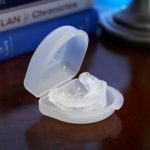 These devices should be considered as additional help for you to cure your snoring problems. You should also have a positive mindset, lose weight if necessary, quit smoking and alcohol in order to minimize snoring. Follow this tips and get some of these devices and a good night’s sleep will be guaranteed. Also, the problems with your partner will be solved.